In a World Where the Comic Book Industry take themselves way too seriously, one Company MUST make you CACkLE! Five years ago today the Misfortunate Mailman made his online debut! When I first saw the ten year challenge thing online it reminded me of one of my old drawings. 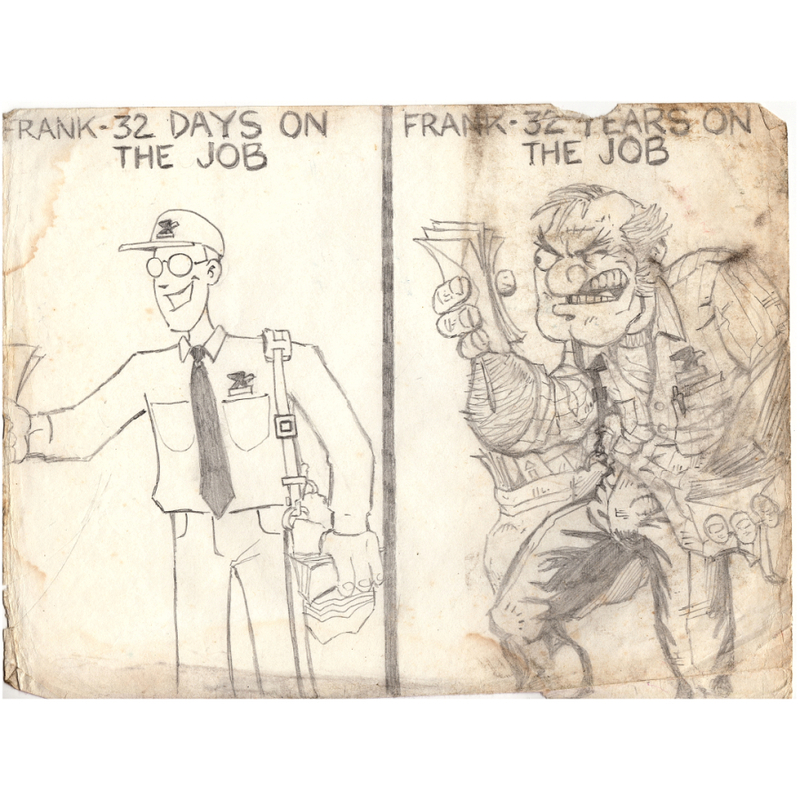 I've always tried to get those around me to laugh with my doodles and about nine years ago I drew the original based on a conversation about how the USPS slowly destroys its employees, lol. I wasn't too happy with the likeness of the character at the time because I kind of exaggerated him to the point of being unrecognizable (that was the joke) So then when I returned to it, I had to make the likeness consistent, and also had to incorporate the younger version somehow because I liked the character design so much, so as a result, I ended up with two new characters because of it.